Destroy Gundam is a huge transformable mobile suit built by the Earth Alliance. 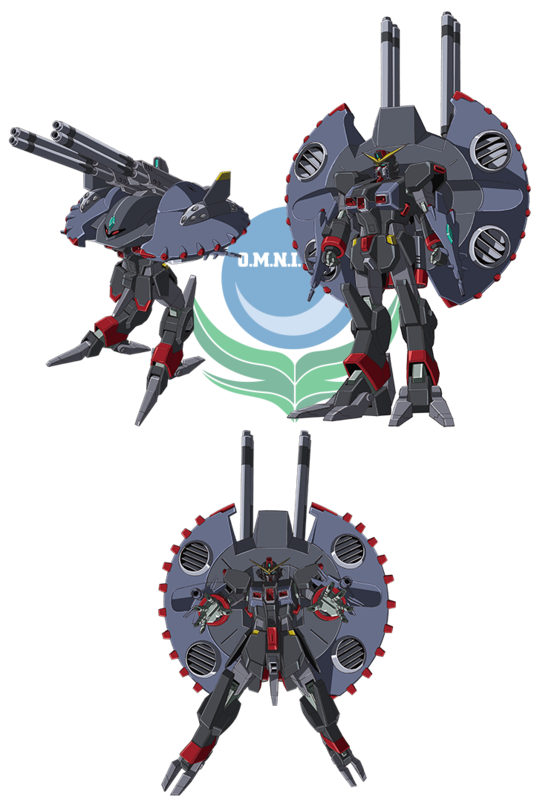 Nearly every part is equipped with a weapon, and with its positron reflector shield, this gigantic mobile suit is able to easily destroy a city with a single unit. It is a strategic “genocide machine” that exceeds any tactics. Destroy is able to transform from MA mode to MS and it is more than double the height of the average MS. It was first deployed during the battle at Berlin, and then several units were used against Heaven’s Base.